Create an “online brochure” for executives with product overviews and utilization instructions. Structured with simple navigation so executives can navigate with ease. 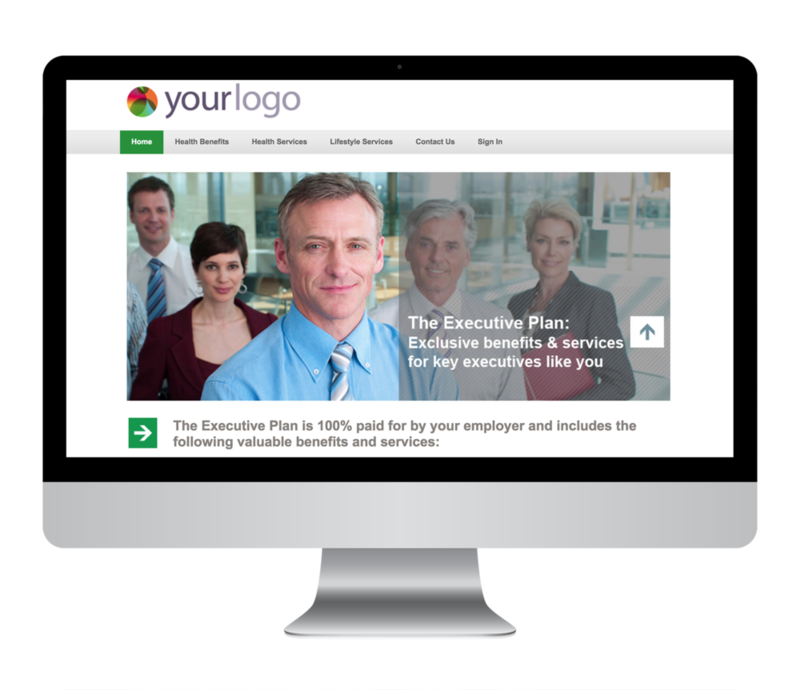 Create template site that can easily be duplicated for employer-sponsor groups. 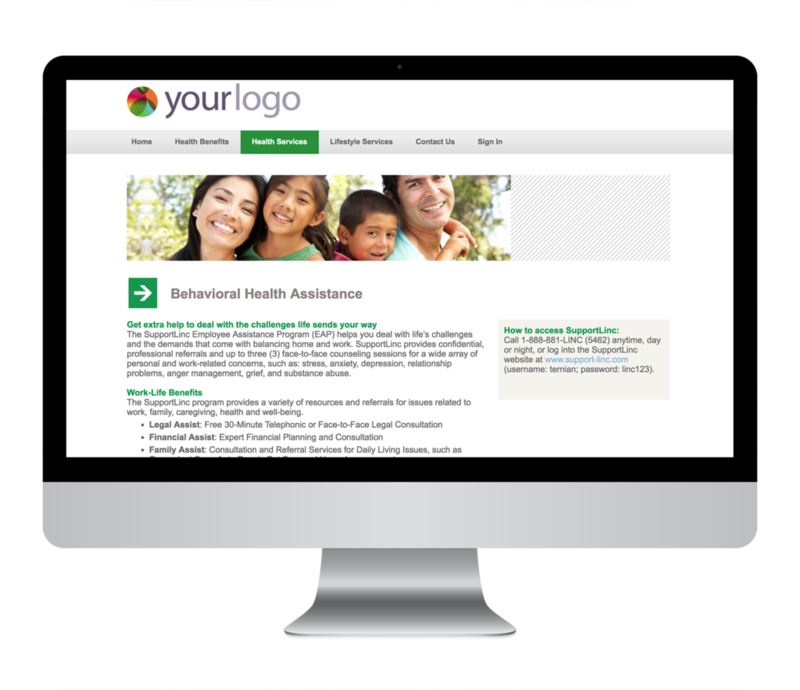 Gathered all product information and organized into three main categories—health benefits, health services, and lifestyle services—to provide easier navigation. Online visual elements complemented the look and feel of the print brochure. Selected images that aligned with target audience—professional executives. Final website can be duplicated for client groups. Executives can find an overview of each product—what it is and how to utilize the benefit.